Deputy Prosecuting Attorney and former District Judge Johnnie A. Copeland of Mountain Home has announced she will run for circuit judge, Division 4 in the 14th District. The 14th Judicial District includes Baxter, Boone, Marion and Newton counties. Copeland is a partner with the Mountain Home law firm of Ethredge & Copeland, P.A. She started her practice of law in 2006. Copeland is an Arkansas native, graduating from Blytheville High School. 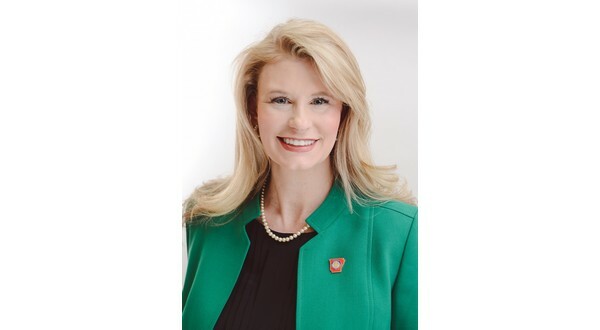 She achieved a bachelor's degree from Vanderbilt University, before earning a master's degree in communications studies from the University of Arkansas at Fayetteville. She received her law degree from the William H. Bowen School of Law at the University of Arkansas at Little Rock. In 2015, Copeland became a deputy prosecuting attorney for the 14th Judicial District. She has prosecuted in the circuit, district, and juvenile criminal courts. Her position handles misdemeanor criminal cases in Baxter County District Court and both misdemeanor and felony cases in juvenile court for Marion and Baxter counties. In 2017, she was appointed to the bench by Governor Asa Hutchinson to serve as district court judge for Fulton County. In speaking about her experience on the bench, Copeland says she enjoyed her time as district judge immensely. When she started at that position, she says there were a few hurdles that needed to be overcome. She says she feels like she rose to the challenge and left the Fulton County District Court in a much better position. Copeland says the opportunity gave her a unique insight into how her actions as judge could effect positive change in the community. The position of circuit judge, Division Four is held by the Honorable Gordon Webb, who plans to retire at the end of his term. Division Four handles one third of the circuit's new civil division filings, half of the new criminal division filings, a quarter of the new domestic relations filings, and the administration of the drug court program. Copeland serves on the Arkansas Supreme Court's Committee on Child Support and is a member of the Baxter County Bar Association. She and her husband Scott are active members of the Twin Lakes Community and have one son. The nonpartisan judicial election for circuit court, Division 4 will be held in conjunction with the presidential primary on March 3rd, 2020.